Congratulations Tanny Waters, Rotarian of the Quarter! 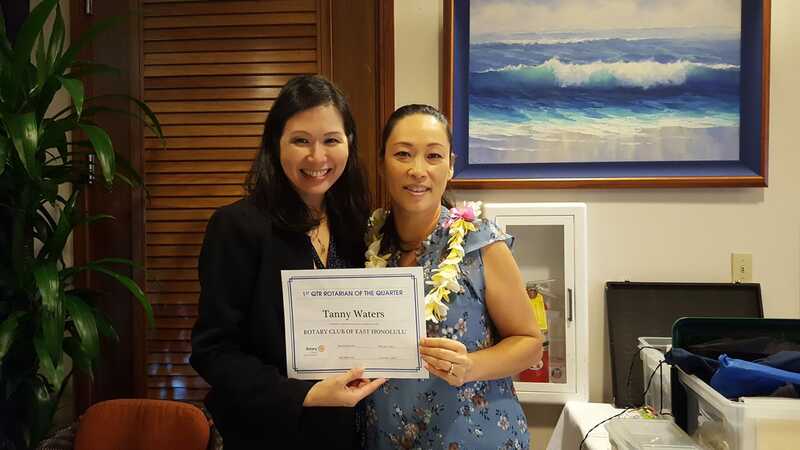 Congratulations to Tanny Waters, the Rotary Club of East Honolulu's Rotarian of the First Quarter! Tanny has a perfect attendance at both club and board meetings, has participated in almost every service project, and has taken on the daunting task of being Treasurer. Not only has she had to learn the role of being Treasurer, but she's looking into ways to save the club money through effective fiscal strategies. Congratulations to Tanny Waters and thank you for your commitment and service to our club!